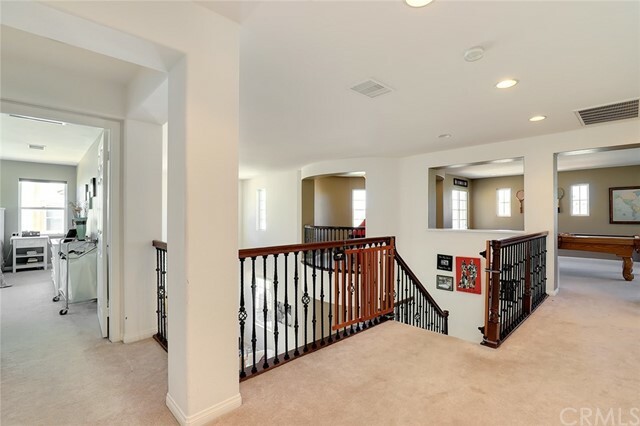 Immaculate Cul-de-Sac Home in Prestigious Tournament Hills! 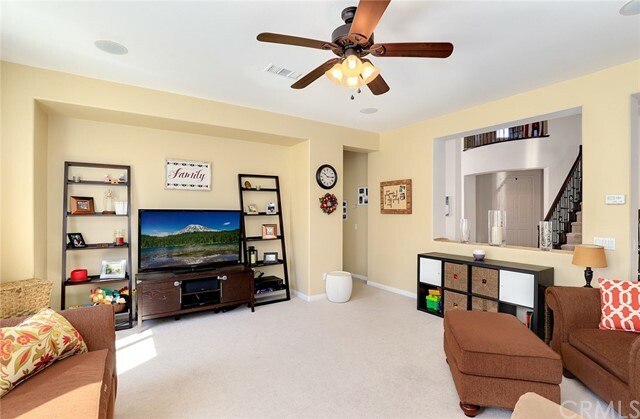 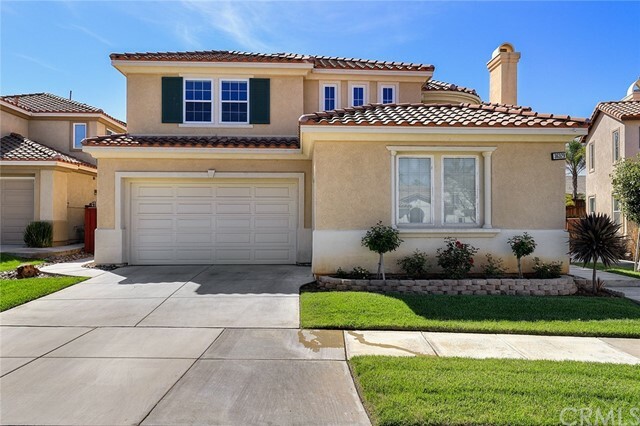 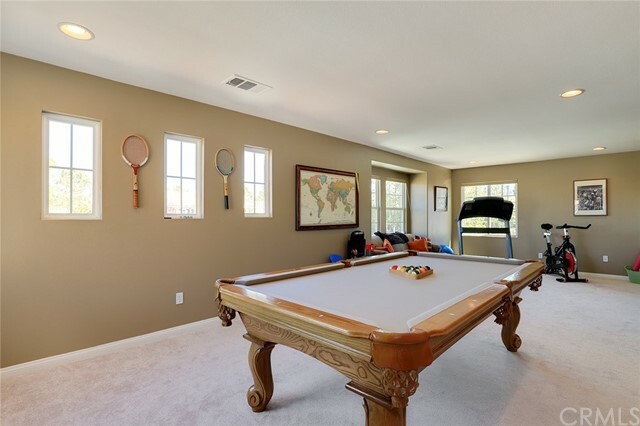 This beautiful Tournament Hills home is nestled safely in a gated community and situated on a sprawling 9148 SF lot. 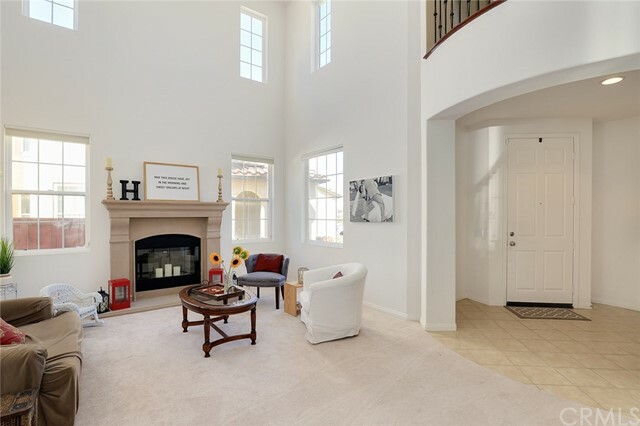 High ceilings, designer custom paint, a rotunda/ turret entry, and an abundance of natural light complement the bright and open floor plan. 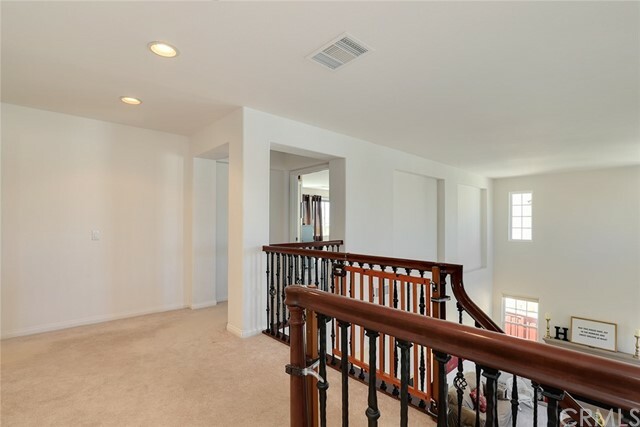 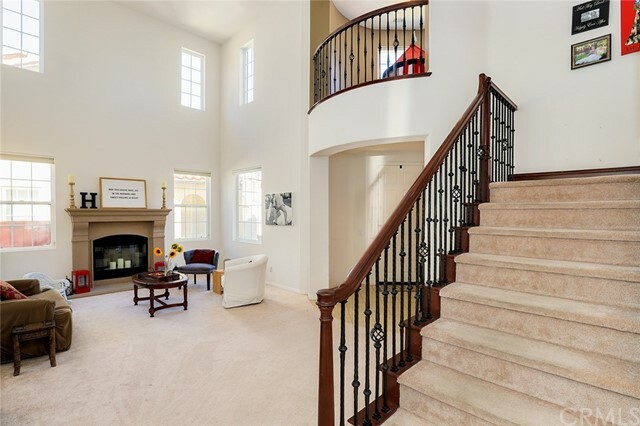 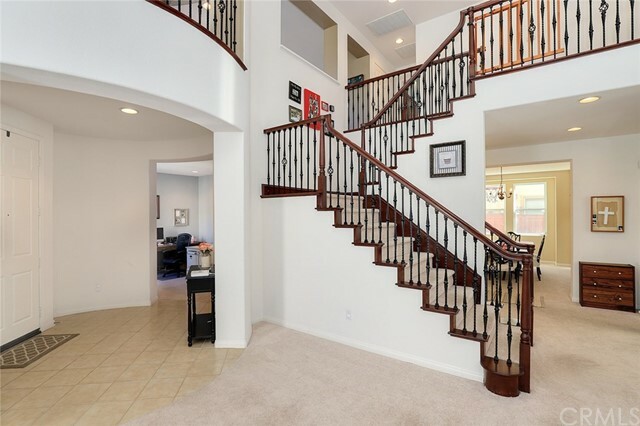 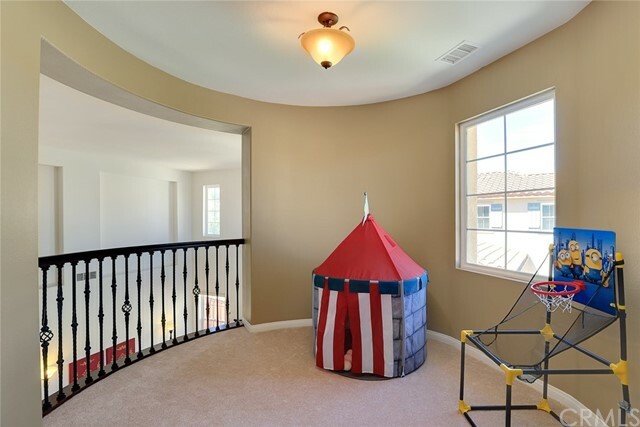 Enter to a grand staircase w/ wrought iron banister and under-stair storage. 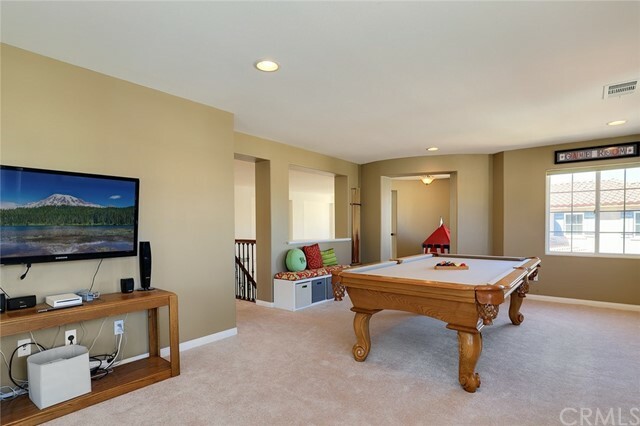 The first floor is complete with a formal living room, formal dining room, gas fireplace, and main floor bed & bath. 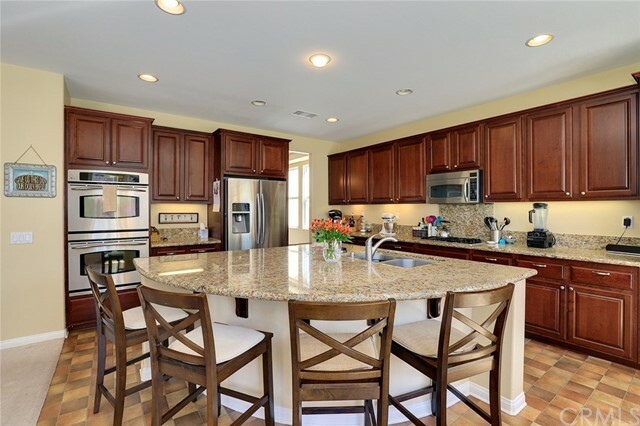 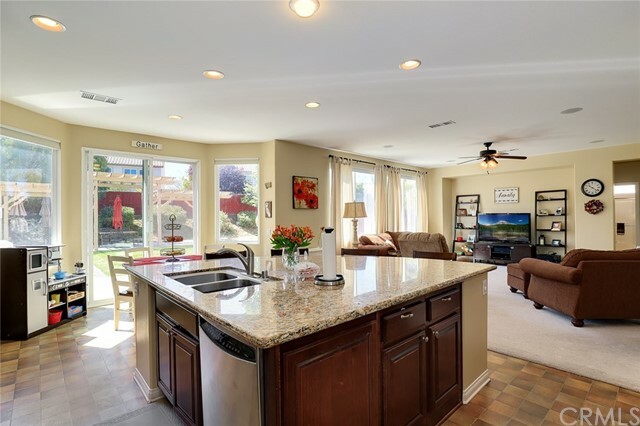 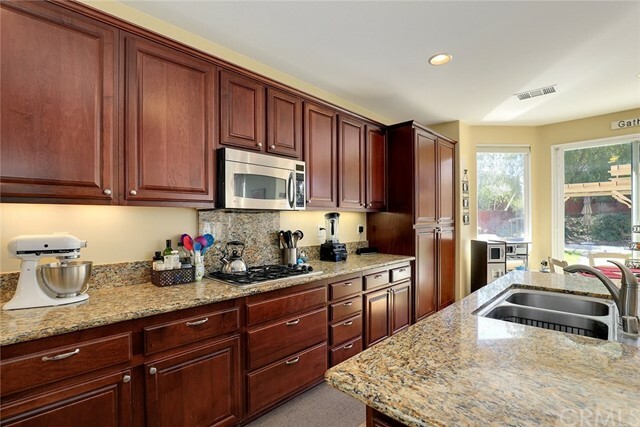 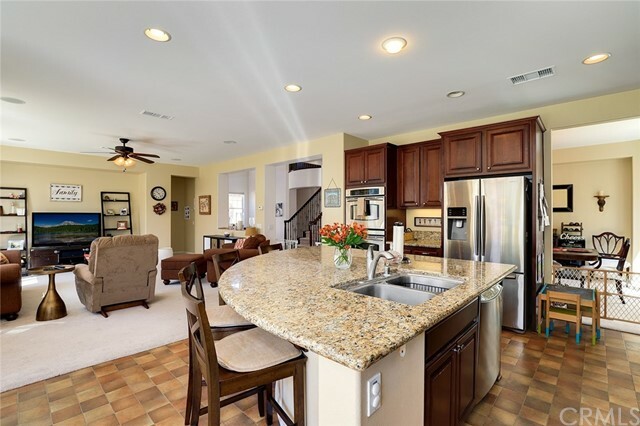 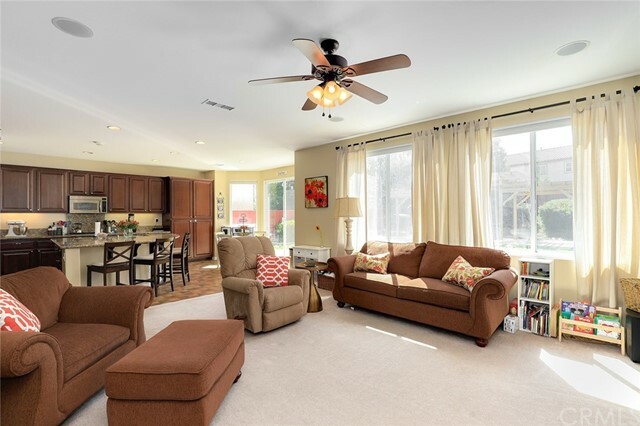 The spacious kitchen features granite counters, a granite island w/ stainless sink & bar seating, stainless appliances, rich wood cabinets, and charming breakfast nook. 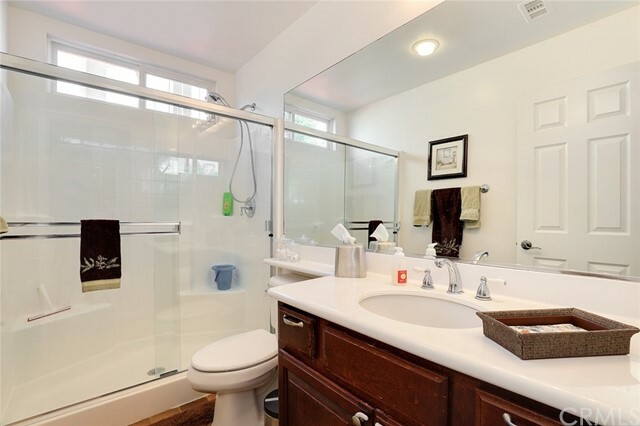 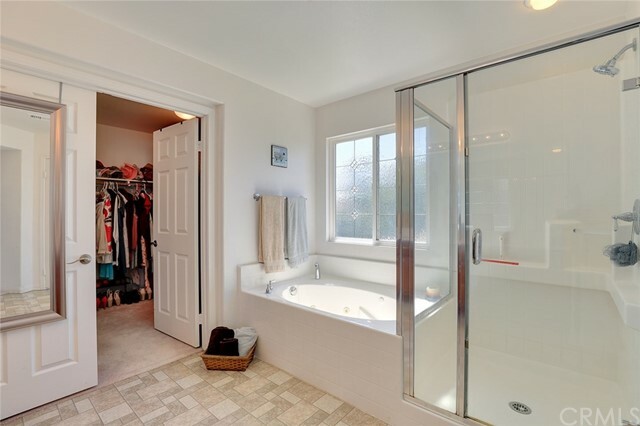 Upstairs, the master suite has a roomy walk-in closet and an en-suite bathroom w/ dual sinks, jetted tub, and deco privacy glass. 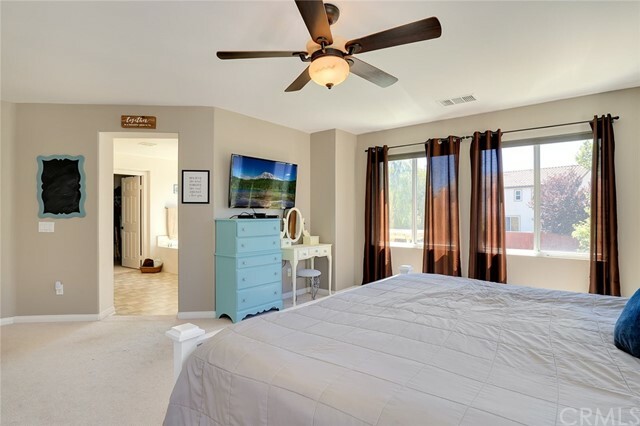 The secondary bedrooms are generously sized, offer ample closet space, and a shared full bathroom w/ dual sinks. 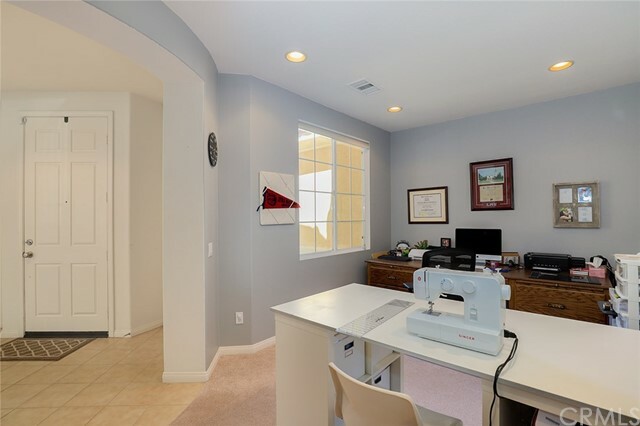 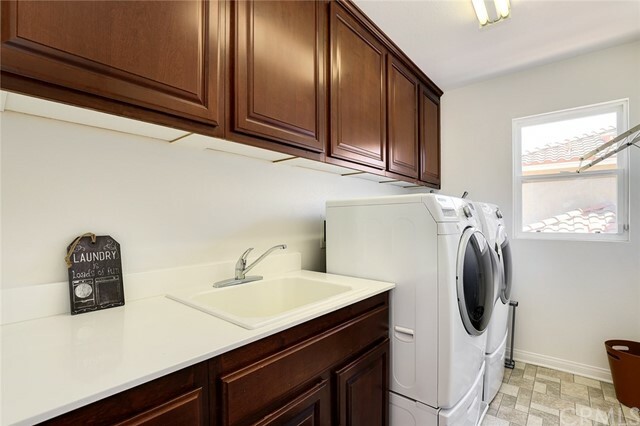 An upstairs laundry room w/ sink & cabinets and oversized bonus room/loft complete the second floor. 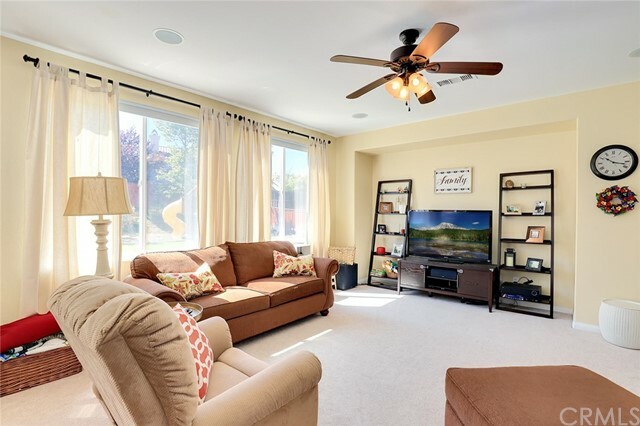 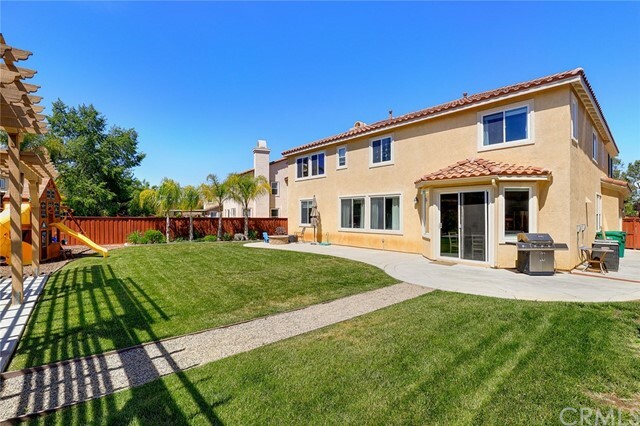 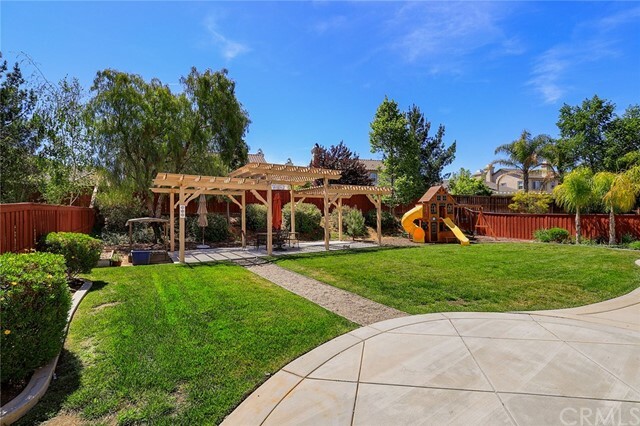 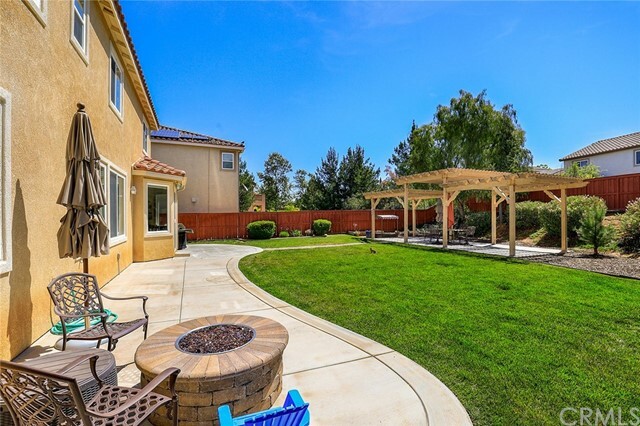 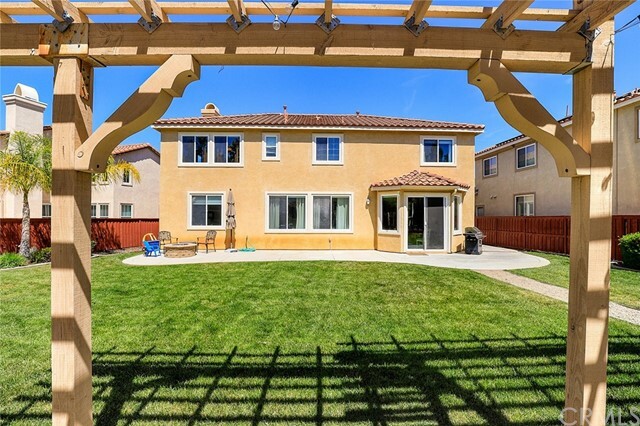 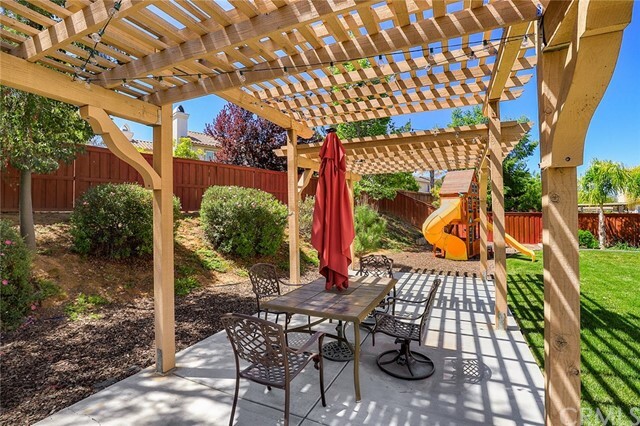 Additional features include a three-car attached & finished garage, surround sound speakers, a sprawling backyard w/ concrete patio, sitting area under pergola, gas fire pit, and beautiful lawn. 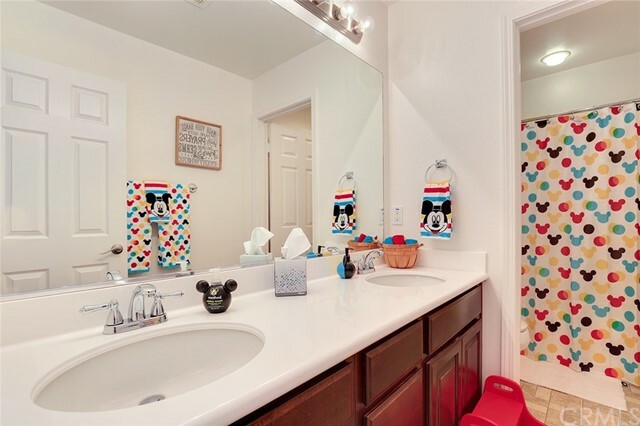 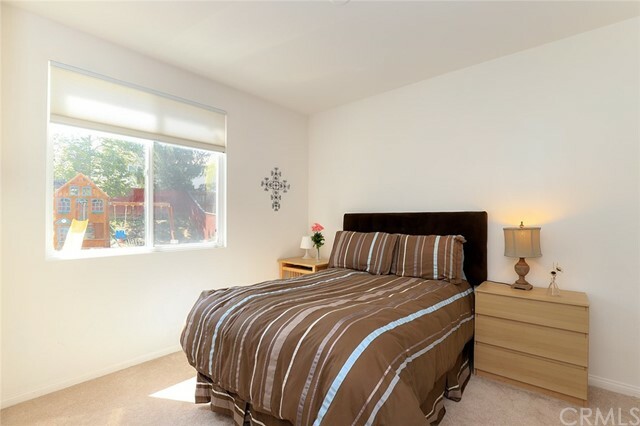 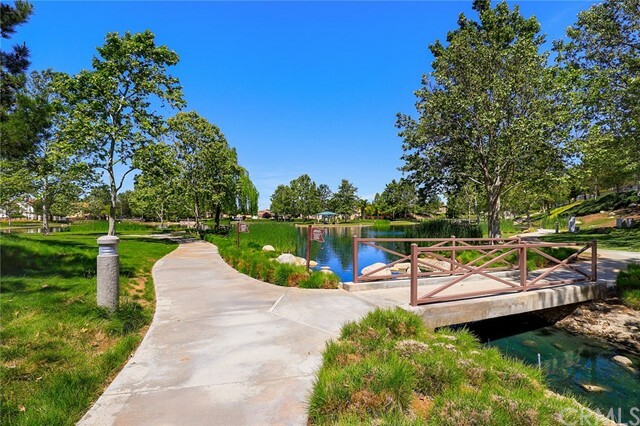 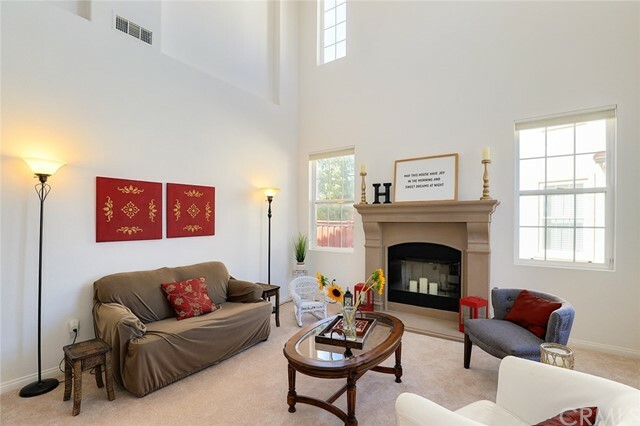 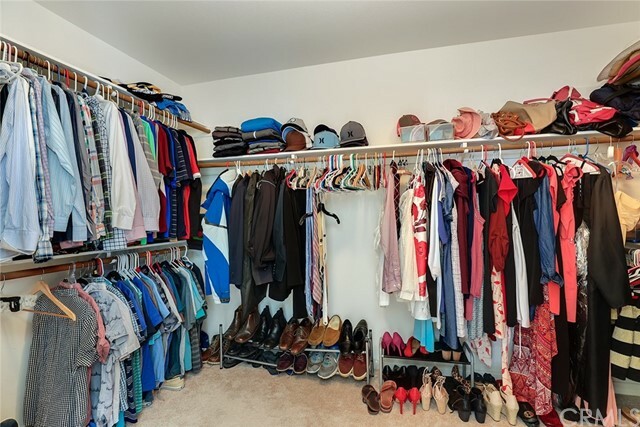 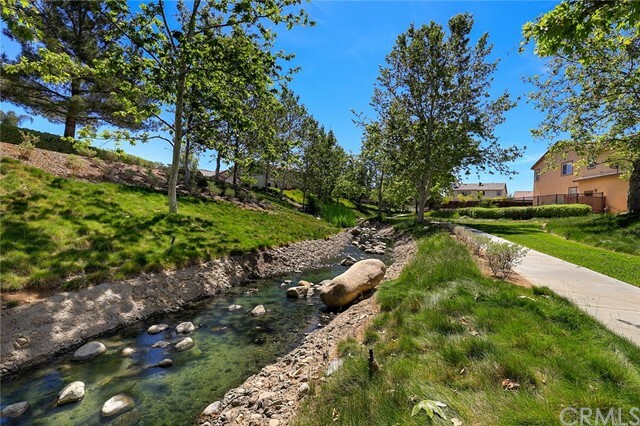 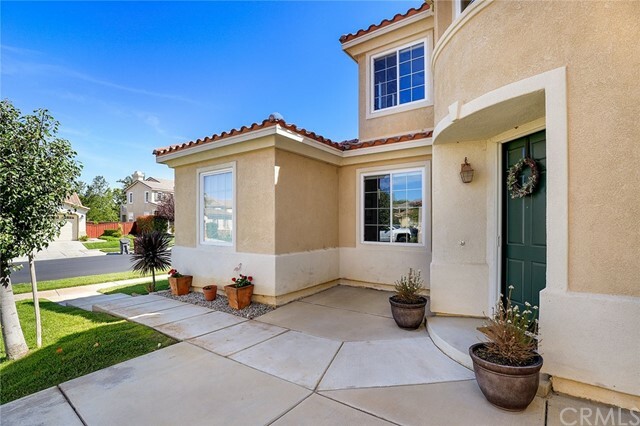 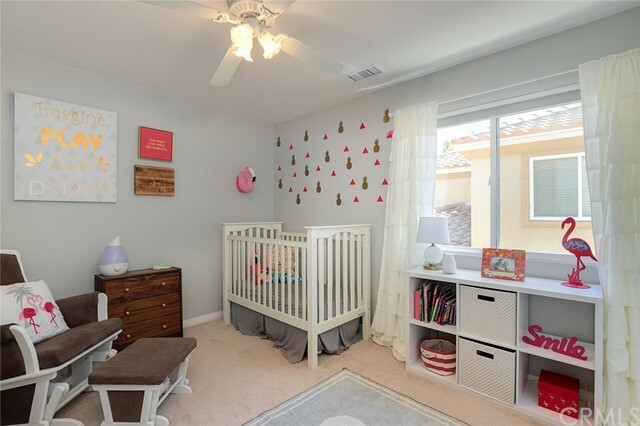 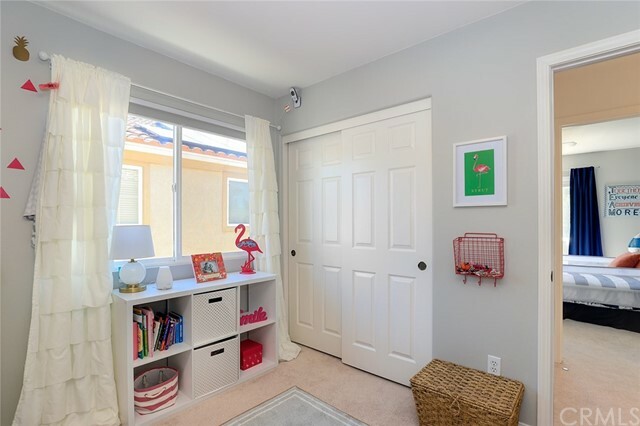 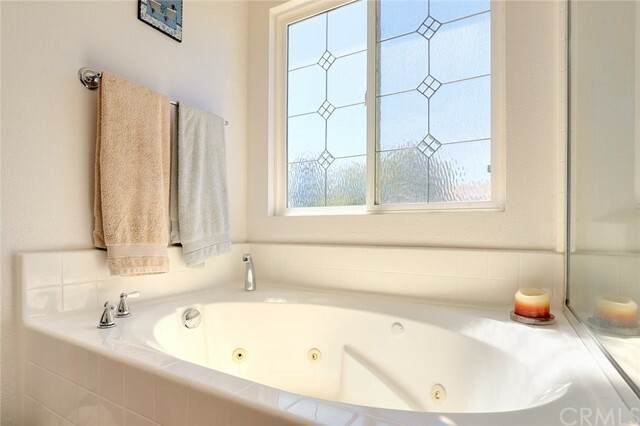 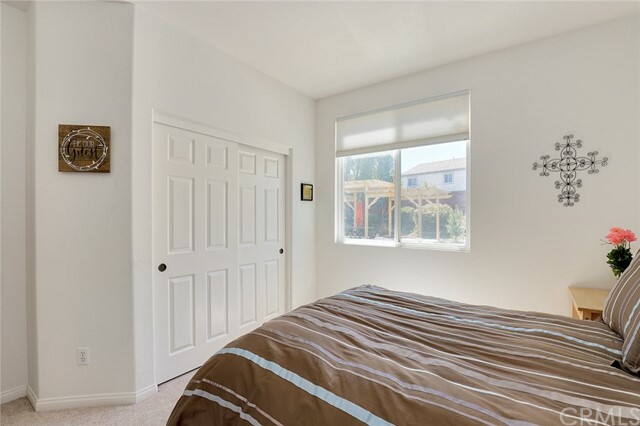 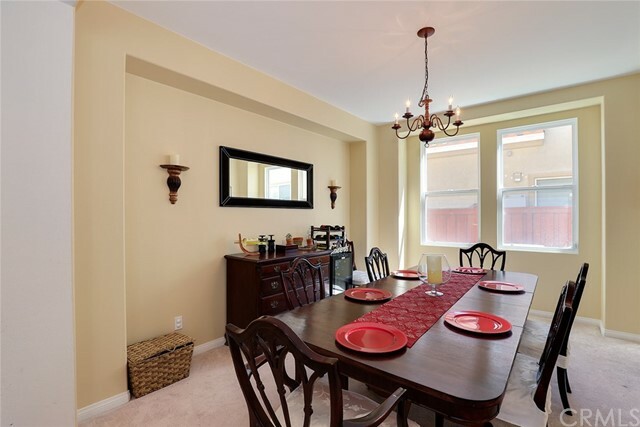 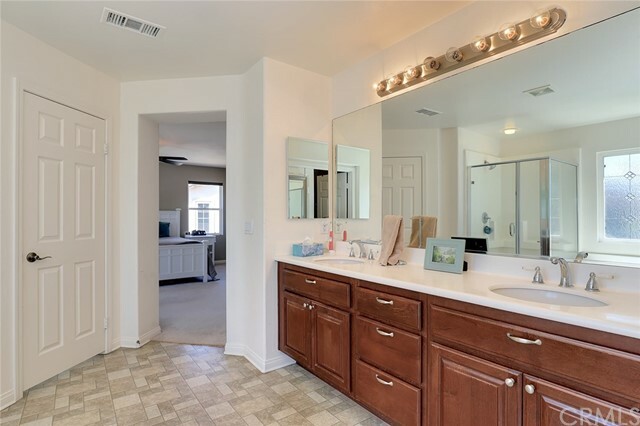 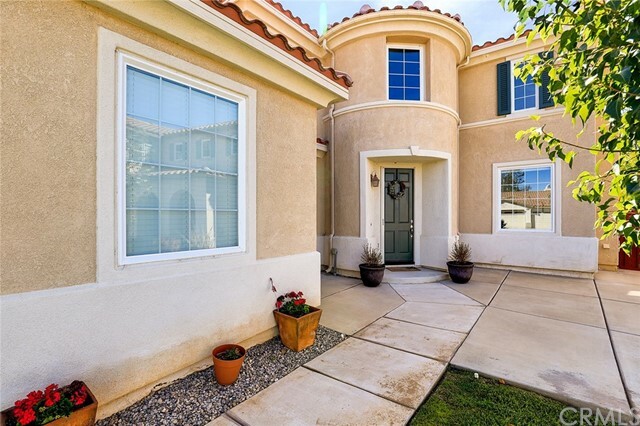 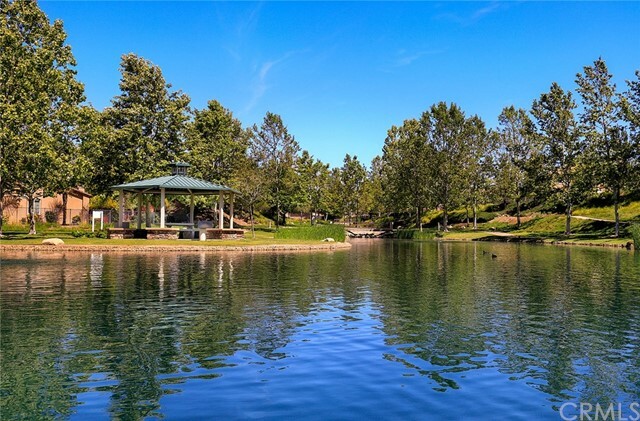 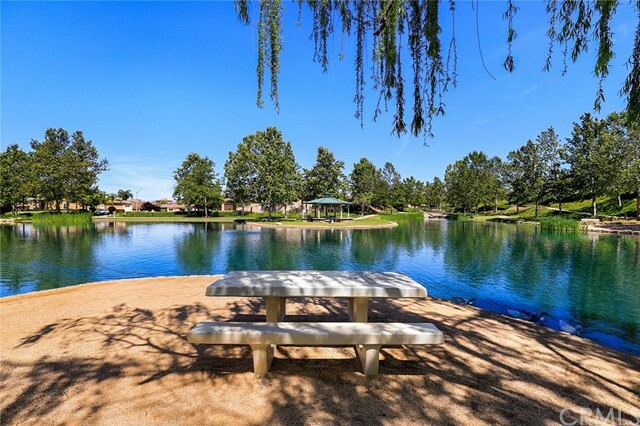 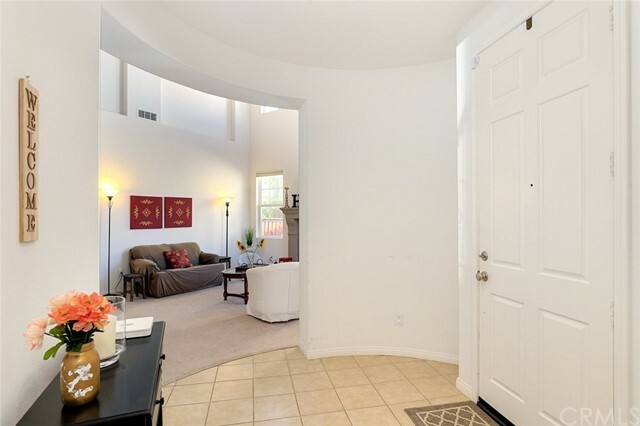 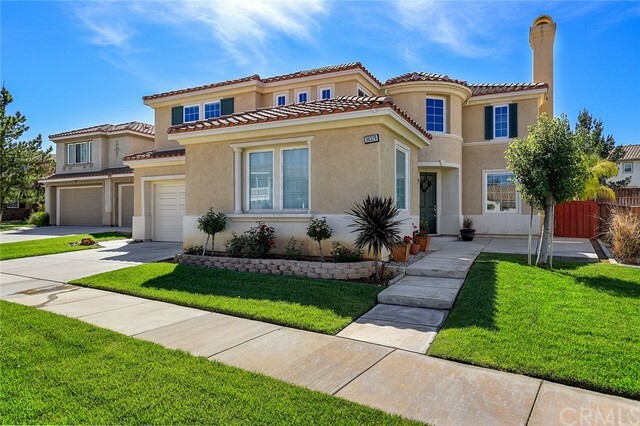 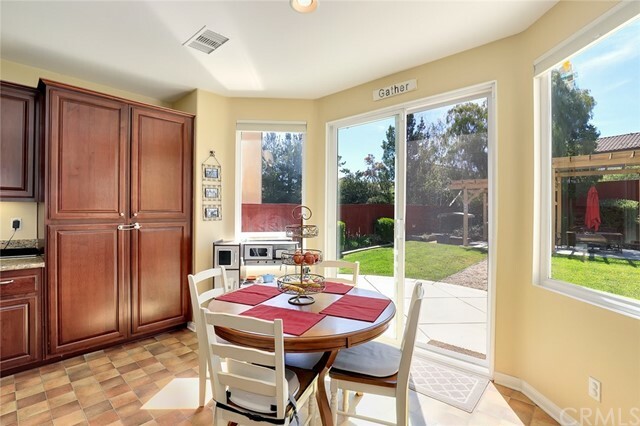 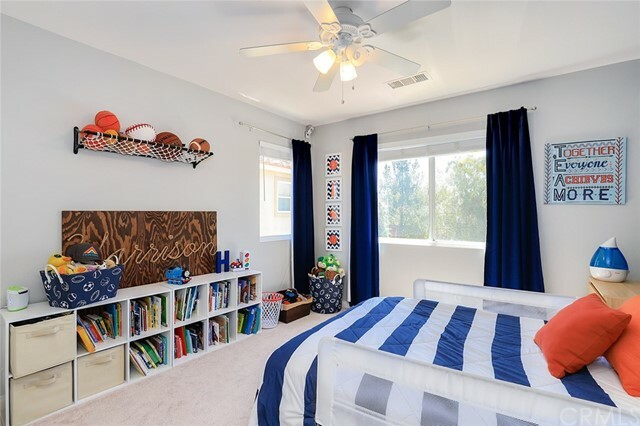 Centrally located near parks, schools, dining, shopping, and the 10 and 60 freeways.